REIGNING Sussex League champions Roffey lost their opening game of the Premier League season at home to Preston Nomads yesterday. Roffey were all out for 171 as Stuart Whittingham top-scored with 43 not out, before Nomads, last year’s runners-up, reached their target for the loss of six wickets. Ollie Gatting hit 44 and Carl Simon struck 39 not out in their successful chase. Middleton, last season’s Division 2 champions, drew their first game up in the top flight away to Cuckfield. The hosts recovered from 129-8 to post 214 as Marcus Campopiano hit 66 from 72 balls, with seven fours and three sixes. Keelan Shoulders led the way with 4-35 for Middleton. Middleton finished their reply on 195-9 as Will Burrows top-scored with 71 not out. Nick Patterson and Josh Hayward both took four wickets for Cuckfield. Brighton & Hove cruised to a 172-run victory away to Bexhill. Alasdair Wilson hit 60 as Brighton posted 228-9, before Bexhill were all out for just 56 in 23.5 overs. Henry Turner picked up 6-18 and Matthew Wood claimed 4-28. Eastbourne also enjoyed a comfortable win as they beat Horsham by 161 runs. Eastbourne scored 272-7, before Horsham were all out for 111. East Grinstead were victorious by 135 runs at home to Billingshurst. Finn Hudson-Prentice smashed 124 and Leo Camish scored 49 as East Grinstead declared on 243-7. Billingshurst were all out for 108 in their reply. In Division 2, Worthing made a flying start to the new season with a seven-wicket win away to Ifield. New Worthing captain John Glover returned outstanding figures of 5-7 from 5.2 overs as Ifield were all out for 76 in 25.2 overs. Worthing reached their target in just 15.3 overs as Nick Ballamy top-scored with 25 not out. Ansty won a low-scoring game by 44 runs at home to Three Bridges. Ansty were all out for 143 in 45.1 overs as Danny Alderman claimed 5-61. In their reply, Bridges were dismissed for 99 in 44 overs as Leo Anderson picked up 4-27. James Iago starred with bat and ball in Findon’s 123-run win away to Crowhurst Park. Iago top-scored with 70 as Findon fell from 77-1 to 135 all out. Crowhurst were then bowled out for 122 as Iago took 5-32 and Graham Manser grabbed 4-37. Hastings ran out ten-wicket winners at home to Lindfield. Max O’Dowd scored 75 as Lindfield were all out for 173, with Jed O’Brien claiming 5-45. Hastings reached their target in just 28 overs as Harry Finch hit 79 not out and Elliott Hopper struck an unbeaten 66. Pagham were seven-wicket victors away to St James’s Montefiore. St James’s were dismissed for 84 as Sam Cooper, with 43, was their only batsman to reach double figures. Pagham got home in 29.4 overs as Joe Metz top-scored with 32. Crawley Eagles recorded a narrow three-run win at home to Glynde & Beddingham in Division 3. Imran Suaddahazai hit 60 and Fazlan Nizamdeen struck 50 in Eagles’ total of 160. Joe Adams claimed 6-31 for Glynde, who were all out for 147, having recovered from 76-8. Bognor Regis ran out 41-run winners away to Goring. Elliott Clarke fired 69 and Zayne Bux smashed 60 as Bognor were all out for 201. Aaron Wyatt finished with figures of 5-69 for Goring, who were dismissed for 160 despite 89 from captain Alex Maynard. Mark Bamford struck an unbeaten 111 to guide Chichester to a five-wicket victory away to Haywards Heath. The hosts declared on 211-7 as James Austin struck 65 not out and Danny Hall scored 57. 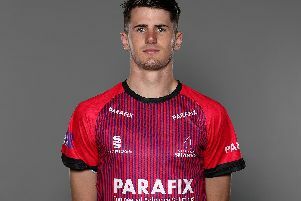 Bamford then took Chichester to victory as he hit 17 fours and three sixes, while Daniel Weigl added 46. Rottingdean scored 212 as they drew at home to Portslade, who finished on 125-8. Steyning were sunk by 88 runs at home to Burgess Hill. Daniel Yates smashed 53 not out as Burgess Hill posted 189-9, with Andy Isaacs taking 5-32. Steyning were then all out for 101 as Karl Boffey picked up 5-22. In Division 4, Crawley picked up a home win against Henfield. The hosts were dismissed for 161, before Henfield were all out for 97. Rye won by four wickets at home to Keymer & Hassocks after bowling out their visitors for 117. Slinfold recorded a five-wicket victory at home to Hellingly, who were all out for 92. Southwater, last season’s West Sussex Invitation League champions, suffered a seven-wicket reverse at home to Mayfield, who were led to victory by 112 from Jack Skinner. Stirlands picked up a three-wicket win at home to Wisborough Green, who were all out for 105.